This example demonstrates the Annotations API in SciChart, which allows UIView or View elements to be placed over a Xamarin Chart at specific X and Y data-values. This API can be used to display Text Labels, Boxes, Lines and Custom markers over the chart at specific X,Y locations as well as Watermarks or other custom UI at specific points on the viewport. 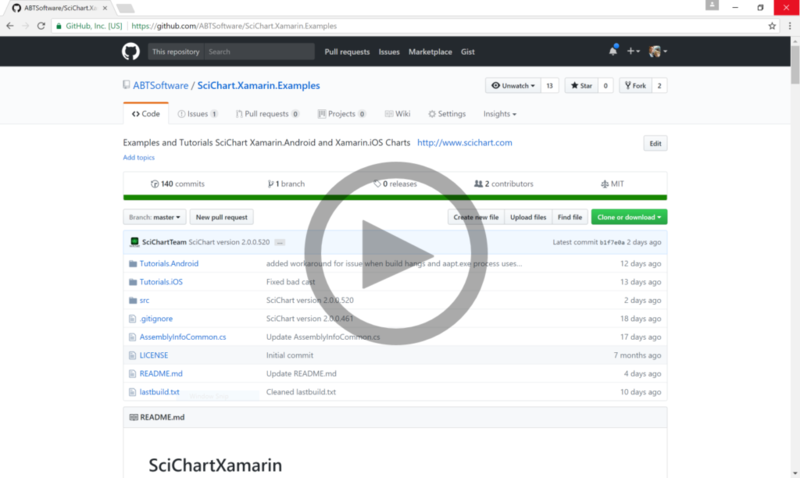 The C#/Xamarin.iOS/Xamarin.Android source code for the Xamarin Chart Annotations example is included below (Scroll down!). Text = "Or Custom Shapes"
Text = "Annotations are Easy!" Text = "You can create text"
Text = "Anchor Center (X1, Y1)"
Text = "or Anchor Left"
Text = "Draw Lines with \nor without arrows"
Text = "Right Aligned, with text on left"